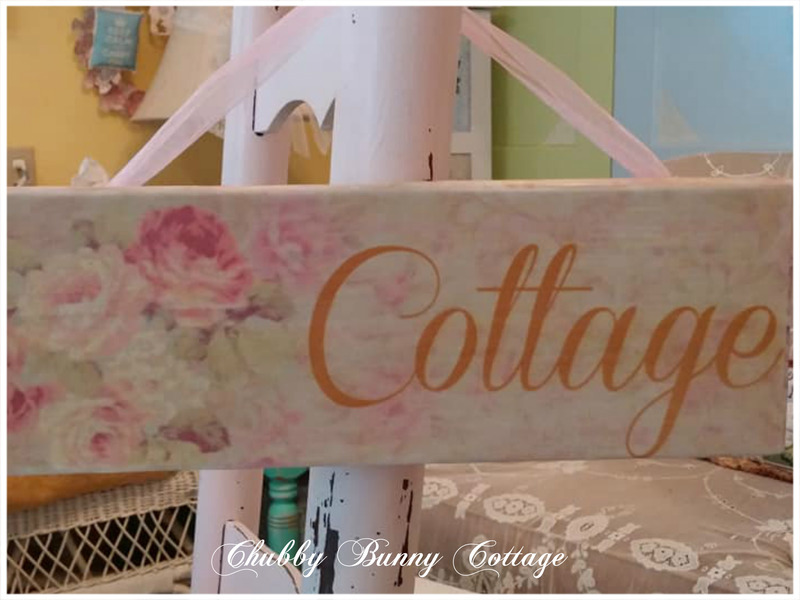 This cottage sign features roses and gold writing. measures 3 1/2″ x 10″. 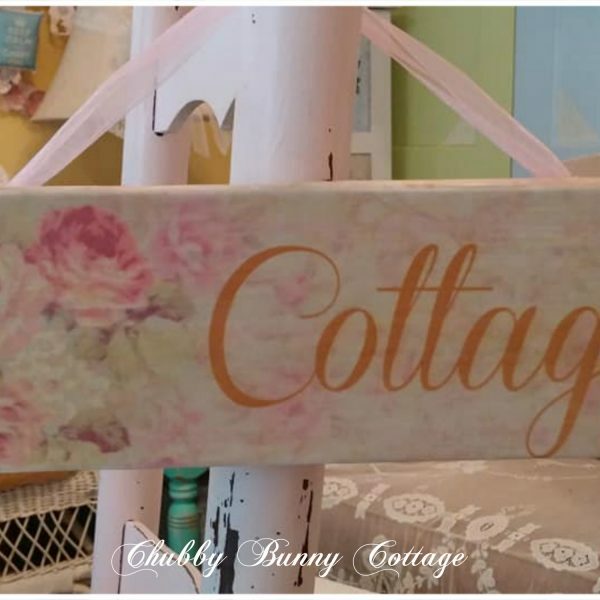 it has an organza ribbon for hanging or use the saw tooth hangers on the back. handmade.